In 1778, “the old black meeting house” the first church in town, had books that could be borrowed. The diary of Joel Winch (1801) states, “My father owned a share in the Meeting-House Library.” Subscription libraries, as they were called, were very common in early New England. The money from memberships was used to purchase books. 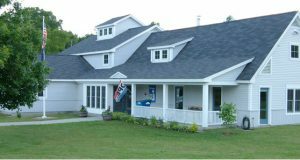 In 1816, a group of Hartland townsmen met and formed a committee to procure newspapers and pamphlets and designated a “reading room” at the Sumner Store, which was open every day except Sunday. No women were allowed. Children’s books were often found in Hartland’s local church libraries. During the early 1800s, the Ladies Circle of the Universalist Church in Hartland donated money to purchase more than one hundred children’s books for their church library. In 1850 a group of men formed the Connecticut River Division Library. There were forty-one members and a collection of about ninety books. This group was followed quickly by the Hartland Library Association which charged member dues of $3.00 along with an annual fee of 50 cents. These monies purchased books. Membership could also be gained with a donation of books. This collection was given to the newly formed Hartland Public Library, which became a town library after a vote at town meeting in 1896. Article 8 of that same year asked to appropriate $25 to maintain the library. 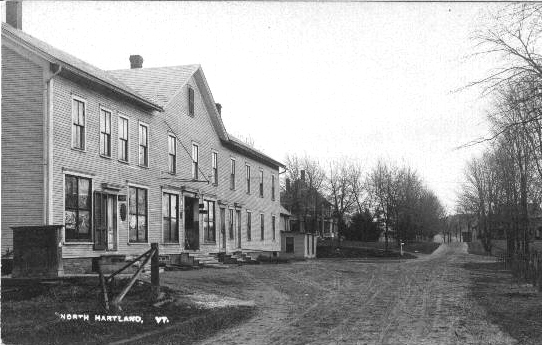 The state of Vermont also contributed $100 of books, local schools raised money for the library, and private donations helped fund the first public library in Hartland, Vermont. Nine hundred books were divided between Hartland, Hartland Four Corners, and North Hartland. The books were kept in private homes and the librarians were not paid a salary. The first librarians were Louise Sturtevant, Mrs. O.M. Badter, and Mrs. D. Flowers. The village library was the central library and housed all records and the full catalogue of books. The libraries continued to grow through the next few years. Louise Sturtevant died in 1903 and the library’s 1200 books were probably moved to the new librarian’s home. In 1909 the collection was catalogued again under the direction of Mrs. Robert Lansing, and moved into the wing of the Hartland Hotel where the Nature Club and Y.M.C.A. met. The collection stayed there until Damon Hall was built in 1915. The books were moved from Mrs. Lansing’s home and the Congregational Church where they were stored during construction and into their new home (the current (2018) Finance Office at Damon Hall). **Some of the original shelving from this library can be seen in the front lobby of the current library. Mrs. Lansing and Dora Penniman were the first librarians to use the Dewey Decimal System at the Hartland Library. 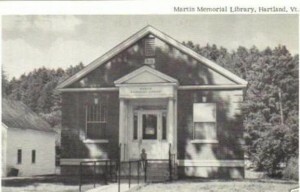 The North Hartland Library was housed in the old store building across from the green. The North Hartland Store building is currently (2018) in use and houses the North Hartland Post Office and a private business. 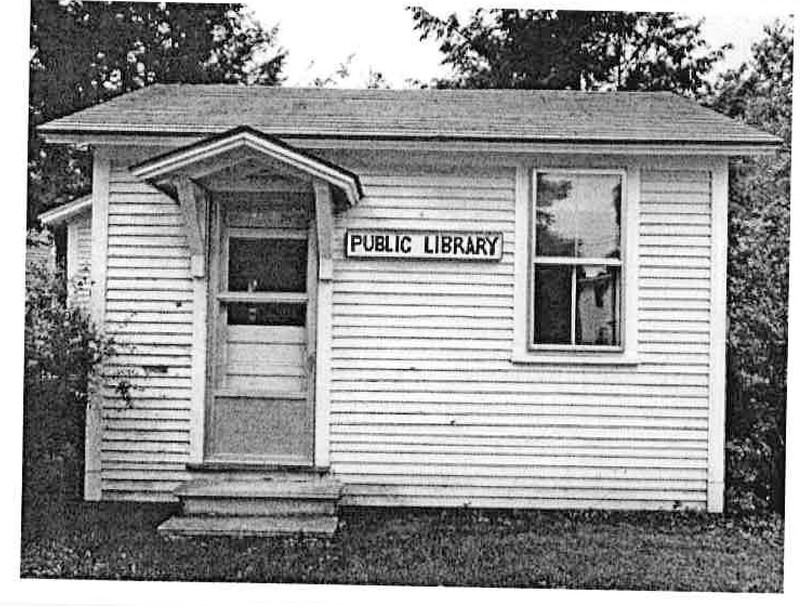 The Hartland Four Corners Library (once deemed the smallest library in the nation) was built in 1944 and consisted of two rooms from a sawmill office. The Four Corners Library was determined to be structurally unsound and demolished sometime around 2010. North Hartland Library was located in the North Hartland store building.